Bottlenose Brewing is set to dive into the Jacksonville craft beer scene when it opens on Wednesday, April 26, at 11am. Although its own house beers are still a few months away from taking the dip in the brew kettle, for now, the craft beer crowd will find a one-of-a-kind selection of craft brews waiting to be poured from a wall of 50 taps, featuring all-Florida guest beers. 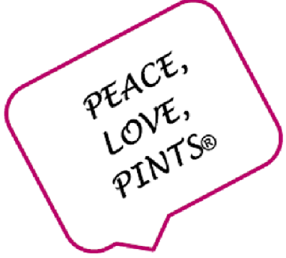 The tap list includes a range of styles, from lighter lagers and ales to pale ales and IPAs to porters and stouts, Belgian styles, Imperial Stouts, and everything in between. Housed in the former World of Beer location in the Tinseltown entertainment district of Jacksonville's Southside area, the brewery and large tap room/dining room features the familiar brick walls and wooden tables. Seating is also available outside on the sizeable covered front porch. Rollaway bay doors allow inside/outside views and breezes. 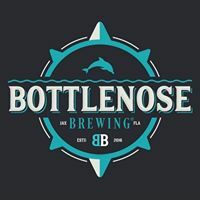 At the helm of Bottlenose Brewing is owner Mark Stillman, who everyone will recognize as the co-owner of Green Room Brewing in Jax Beach. General Manager Joey Guertin is a former Green Room employee. 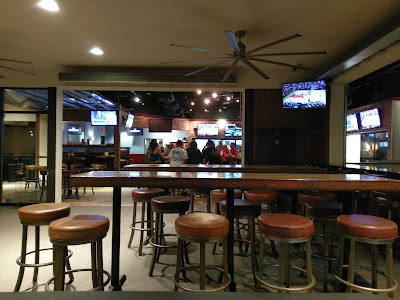 At a soft opening last night, both were busy working various areas of the new bar and eatery. Stillman found a few minutes to talk to the crowd, and explained that while most of the new brewhouse equipment has been ordered, he was quickly able to snap up several tanks that became available. 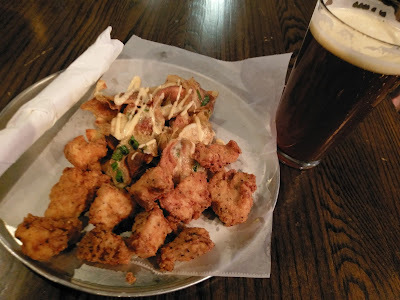 The brewery also has a full kitchen, which will serve up foods like Brewcheese Chips (homemade potato chips with homemade beer blue cheese sauce); Griddle Mac (mac n cheese with even more cheese); Cornbread Belgium Waffle; Double Fried Fries; Chicken N Chips (buttermilk fried chicken bites, with homemade pickle fries); Salads; Italian Roast Beef Sandwiches; Burgers; Chicken & Waffles; and Hot Chicken (fried chicken breast). Add-Ons to menu items include chuck patties, roast beef, griddle mac patty, homemade pickles, and various cheeses. Try a Brownie Waffle for dessert. The tender chicken bites in the Chicken N Chips plate are lightly breaded, with savory complementary seasonings. The housemade Brewcheese Chips are flavorful and perfect to accompany one of the many beers on the menu board. And, speaking of that menu board, the beers on tap appear on a digital list, powered by everyone's favorite beer app, Untappd. The tap room offers a number of TVs throughout, making it a destination for sports-watching. 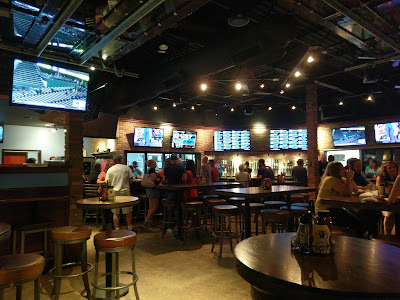 In addition to the 50 taps of draft beer, the bar also offers a wide selection of beers in bottles and cans from Florida, regional and national breweries. 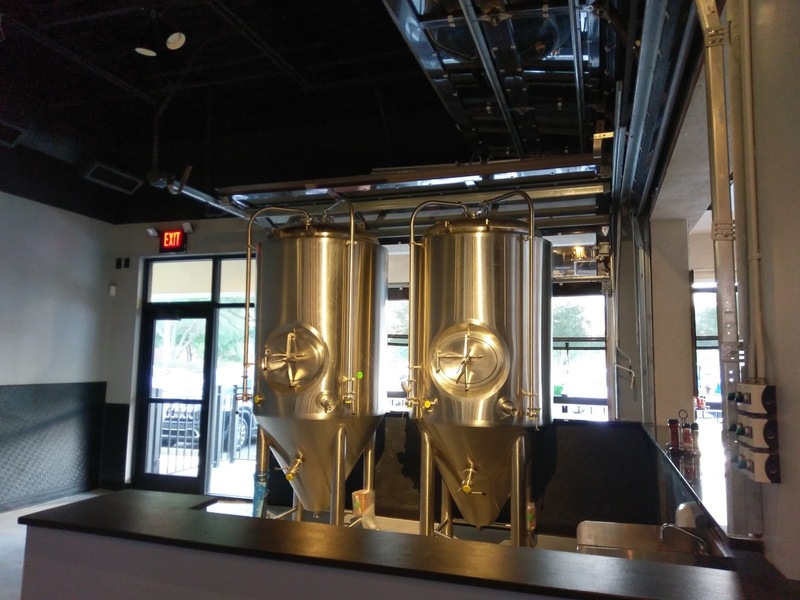 Of course, anticipation and excitement will build as Bottlenose Brewing takes delivery of its brewing equipment and makes its way closer to heating things up with its first brew in the upcoming months. 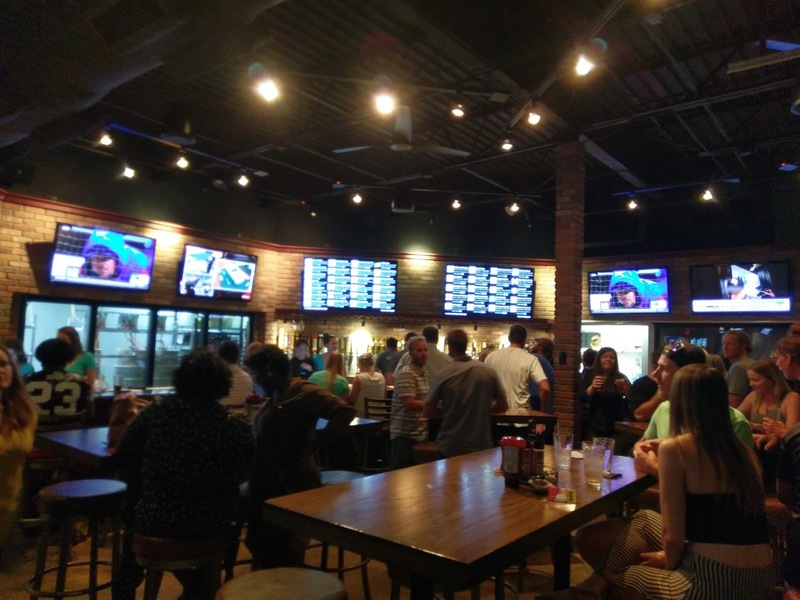 In the meantime, take a dive into one of the many beers at Bottlenose Brewing. Bottlenose Brewing is located at 9700 Deer Lake Ct., #1, Jacksonville, in the Tinseltown/Southside area. 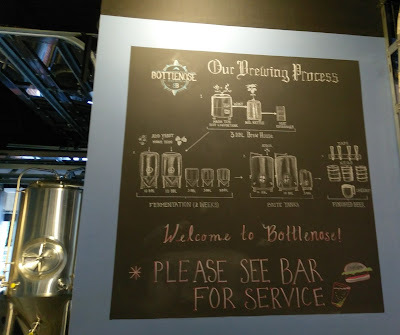 I had a great time visiting Bottlenose Brewing last night! The Grand Opening of the tap room/dining room and bar is Wednesday, April 26 at 11am, and the bar will be open until midnight. 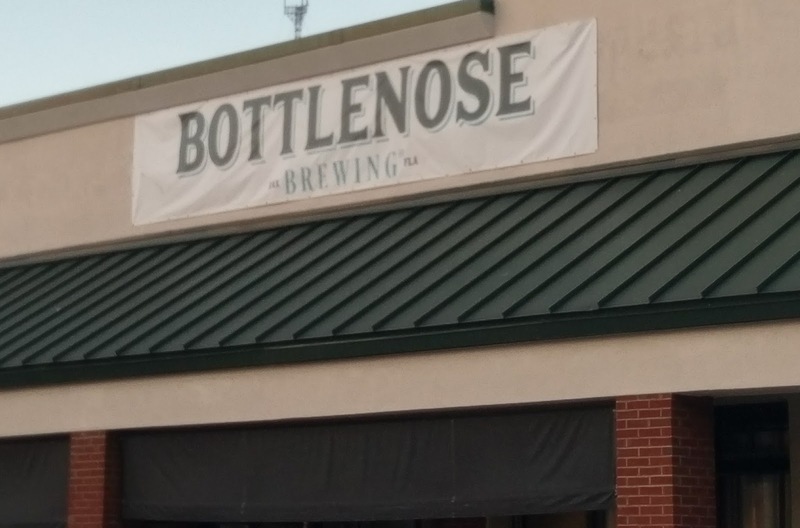 Congratulations to Mark and the entire Bottlenose Brewing crew on getting those doors open!